Walking through back issues of The Moravian often yields wonderful words from the past. This month, we reviewed several Lent-focused issues and found thoughts about the season from 1969 and 1976 that still ring true today. The authors include Joyce Pharo, Robert Gohdes, C. Albert Ulrich, G.W. Axmann, Ray H. Rollins and Johnsie Long. “…Lent is the clearing away of the cobwebs which our faith somehow manages to accumulate. It is a re-examination of our relationship with Jesus Christ and a renewing of our commitment to him. It is our hearts being touched again by the great love of God as he gave his Son to die for our sins. Our penitent hearts can be made strong with this love and we are then better able to do the will of God in this world. The Christian should make this reexamination and renewal all year. From this comes compassion and love for Jesus Christ and our fellow man. 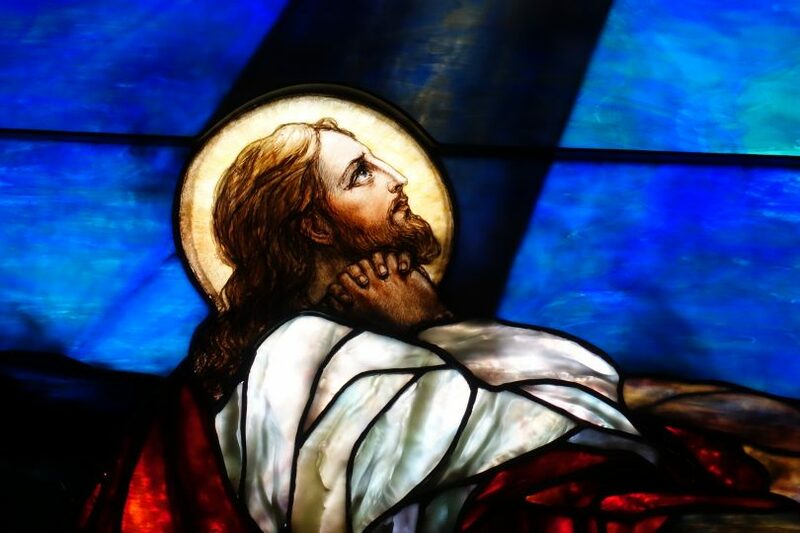 “…The observance of Lent in the church seems always to have been preceded with the question: “What shall I give up for Lent?” This concept has come down from antiquity and made Lent known as a forty-day fasting season. 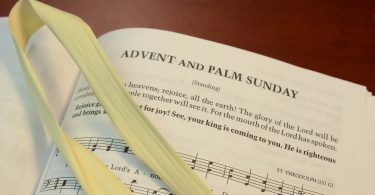 In some churches (and the Moravian Church may be one) the observance of this season has not been overemphasized, if indeed it was emphasized at all. Perhaps our observance of Lent was withdrawn in an effort to break away from tradition for tradition’s sake. Now we realize that there are traditions that offer much in meaning and in the building of unity. So we look at Lent and observe it as a memorial time: a time to remember Jesus setting his face and his meditations toward Jerusalem. “…The true story of Easter cannot be told apart from the story of the Passion. The two events are inseparable in the life of Christ. The best way to understand the complete Easter story is to participate in our Moravian Church mediations. 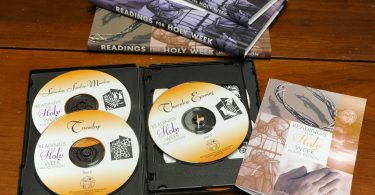 Classic presentations involve weekly Lenten services, traditional Palm Sunday activities, and daily Holy Week services which are centered around the Passion Week Manual. 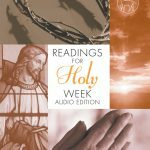 The Readings for Holy Week are from the Gospels, consist of readings interspersed with suitable hymns, perhaps a brief thought-provoking message and prayers. Communion and special Easter morning sunrise services dramatize the relationship of past and present events. All of these prepare us for thoughtful consideration of the complete Easter story. These events are a wonderful way to hear “the old, old story,” and to renew again its impact upon our lives. It is the kind of throw-away query for which no reply is expected or given, other than a possible in-kind retort. But it does raise a question about giving up something (from a bad habit to a favorite food). And, for those who do make serious, considered sacrifices-—fine. Yet, it seems that Lent might be more a time of taking something on—of taking a look at what we’re doing, where we’re falling short and making a determined (possibly even rash) move to get on with something worthwhile. Lent, like spring, is a time of renewal—of new optimism and fresh starts, of throwing off the restrictive starts, of throwing off the restrictive bonds of dormant winter, to nurture a new blossoming forth, as Christ broke the tedious bonds of an old way and gave us, by purposeful sacrifice, a new way. “…The season of Lent has always meant to me that Easter is near. It is a time of renewing and strengthening my close ties with God. In thinking toward Easter, the ultimate sacrifice, that of God’s giving of his Son for my sins, is more present in my thoughts and prayers. The season of Lent is then a time to re-examine my relationship with my God and to try to ascertain what I can do to strengthen that relationship. When God has done and is doing so much for me constantly, I always find myself falling short on my responsibilities to him. The good that I have done in his name is always slight when I think of all I could have done. His love that I have allowed to reflect from me as only been a glimmer, when with a little more effort and love on my part it could have been radiant. And then I rejoice. I know that God forgives me for my shortcomings and will give me strength and guidance, because I love him and want to show it in a more positive way. I think of his friendship and love as the greatest one, and I have let it slide from top priority in my life. With renewed effort, dedication and commitment in this Lenten season, I will try once again to get to know my Lord even better, so that my life will be worthy of him. Then during Holy Week, studying and reviewing the last days of Christ on earth in the form of man, I will be better ready to rededicate my life to him.